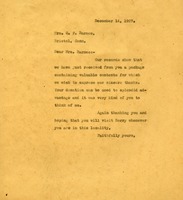 This thank you letter from Miss Berry is a response to a previous letter from Mrs. Wright saying she is able to send something to the students at the Berry Schools for Christmas if Miss Berry would like. Miss Berry tells her that any gift would make the Christmas brighter for the boys and girls. 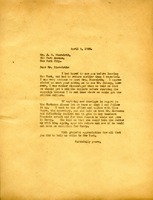 Thank you letter from Ms. Martha Berry to Mrs. L.E. Buck for a gift made to the school. 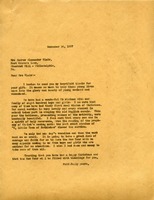 Also, this letter is a request for Mrs. Buck to introduce Ms. Berry to more potential donors for the schools. 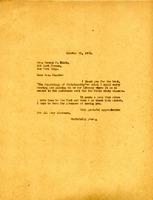 Letter of thanks after a visit by Martha Berry to New York. References a Mr. Kelsey and a million dollar campaign. Also references a Mr. Harkness who will not give to any Southern Mountain School. 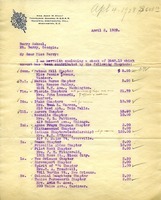 Martha Berry thanks Miss Adams for her check, especially since it came at an urgent time. She informs Miss Adams that it is difficult to care for these young people and donating is a great investment in the future. Martha tells her that a friend has promised a donation to a gymnasium if they raise $10,000 and asks that Miss Adams send the names of any friends who she thinks would be interested. 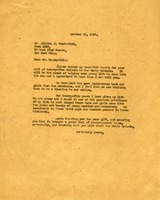 Miss Berry is thanking Mr. Vanderbilt for the gift he sent the schools. She explains the impact that his money will have and that it is a good investment in "pure Anglo-Saxon boys and girls from the mountains". 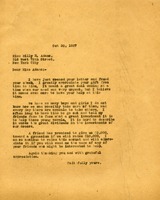 In this letter Martha Berry thanks Mrs. Grane for her donation to the Berry Schools. Martha Berry also not so subtly hints that she would like Mrs. Grane to tell her friends about Berry. 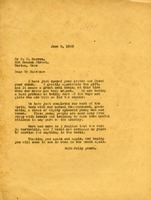 This is a thank you letter to Mrs. A. S. Hewitt from Martha Berry thanking her for sending a box of clothing to The Schools. She also invites Mrs. Hewitt to visit Berry whenever she can. 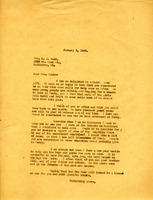 The Berry Schools write to Miss Adams thanking her for her donation telling her that it much needed during these times. The Berry Schools wrote a thank you letter to Mrs. Hall for the donation. They also mentioned how the support helps the Berry Schools continue and how appreciative they are. The summer school was mentioned and that it was going well. On the lower half, there is also a letter asking for helping and explaining the Berry Schools and why they are in operation. 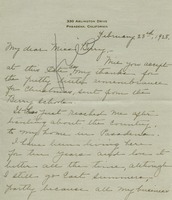 Miss Berry writes thanking Mrs. Barnes for her donation to the Berry Schools. 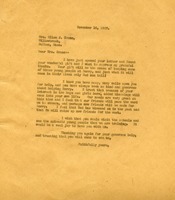 Martha Berry writes Mrs. Blair to thank her for her gift. She mentions the Christmas carol service they had on campus and that she is sure that everyone was in a spirit of holy reverence. She also mentions that it will take much faith and courage to face the New Year since so many boys and girls wish to have an education at Berry.